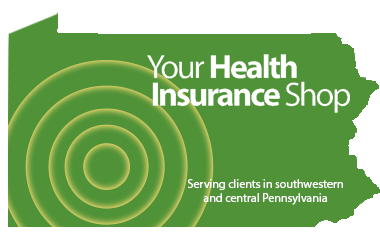 At Your Health Insurance Shop, we provide the information you need to make an informed decision about your healthcare. Our licensed and experienced staff will compare carriers, plan coverage and rates to give you the guidance and confidence you need to make the right choice. NFP acquired Your Health Insurance Shop in October 2017. The company's goal remains the same: to be the preferred and trusted leader in the changing world of health insurance. We're still the same people providing the same great quality and service you've come to expect, now backed by the full expertise and capabilities of NFP. When you buy health insurance for yourself or your family, you need professional, reliable advice along with customer service you know will be there when you need it most. That's why we take our mission and our values seriously; you should too. Providing the information to comparison shop for health insurance. Providing the expertise and personalized service to help you navigate the changing health insurance environment. Offering advice on disability, life, long term care, disability insurance, and more. Our values include a dedication to quality and integrity and to being good citizens in the communities where we work and live. We are Innovative Leaders, setting the standards for others to follow. We continually Learn and Improve through both planned career development and daily experience. We are Strategically Driven with a commitment to proactively plan for the future. We Anticipate Needs so as to provide complete Customer Satisfaction. We invite you to contact us at Your Health Insurance Shop. You'll be treated with the care and respect you deserve while finding the health insurance options that are right for you! The fields of Health Care and Health Care Insurance are constantly changing. Visit our What's New page to view recent announcements and learn about upcoming events, seminars, and screenings. To keep "in the know" about wellness and medical coverage issues relevant to you, sign up for our Newsletter. If you have any questions, please contact us. From the team at Your Health Insurance Shop, we look forward to serving you.